Parker Hale Walnut Oil in the finest English quality for care and protection of your wooden stock. This high quality natural wood oil enhanced in a natural way the beauty of the wood grain of each timber. 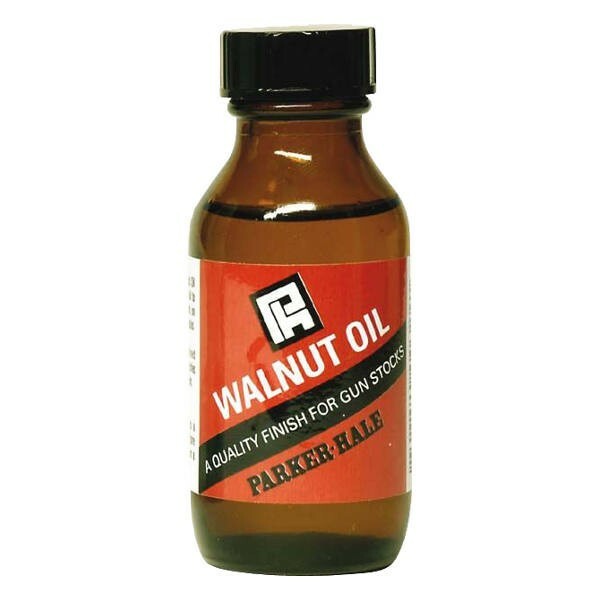 Parker Hale Walnut Oil is also extremely efficient. Therefore, only a very thin film of the oil will applied - to further improve and increase the protective effect in several layers. In this way you get the best results and the Walnut Oil reaches for a long time. The Walnut oil dries fairly quickly and creates a protective hard finish. For more layers, first dry the wood at a warm and dry place.